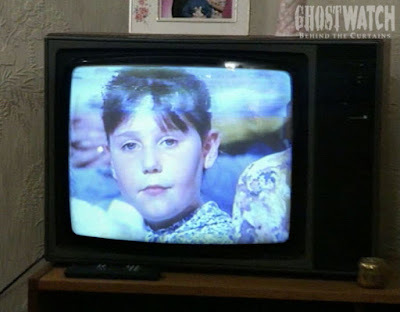 It goes without saying, the differences between television as we know it today compared to what was on offer back when Ghostwatch first aired are significant to say the least. Back then, there were no digital channels, and even satellite and cable TV were both still in the process of being first introduced to the masses. 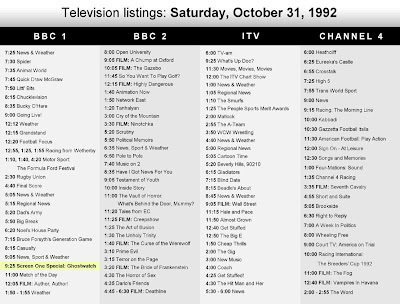 As requested, here is the full schedule for the four available terrestrial channels back on Hallowe'en Night, 1992 - and it's an impressive one at that. Which favourite shows do you remember? Let us know in the comments section, below! It's still there... It's not come off the wall!